The FAS Smart footbll table is an all-round full-size Italian FAS table with fold-up legs designed and built for use by grown ups. It has a beautiful ice blue finish, a glass playing surface, easily removable legs, chrome effect anti-rust steel telescopic poles and unbreakable polyurethane plastic handles and players. This is a seriously robust table that will withstand all you can throw at it. 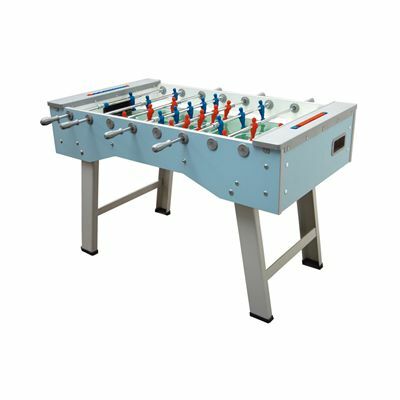 It features a state-of-the-art design and technical and construction characteristics that make it extremely functional and practical, combining the quality of the best professional football tables with ideal solutions for the most demanding enthusiast. Thanks to the ample reinforcements provided where the greatest pressure is applied, the table is extremely sturdy. The hand protectors are made of indestructible polyurethane while the goal nets are made of moplen. The satin finish steel legs have been very carefully designed to fold on top of each other so the table closes perfectly and occupies little space. The table can be opened quickly whenever necessary and can go anywhere. 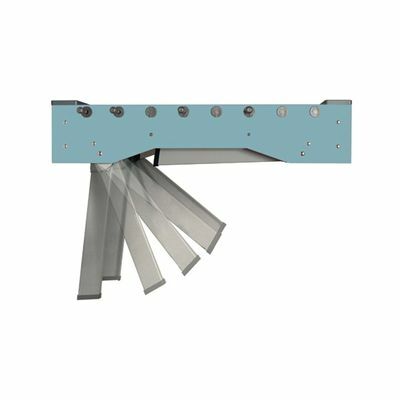 It is also supplied with telescopic safety bars as standard. for submitting product information about FAS Smart Football Table We aim to answer all questions within 2-3 days. 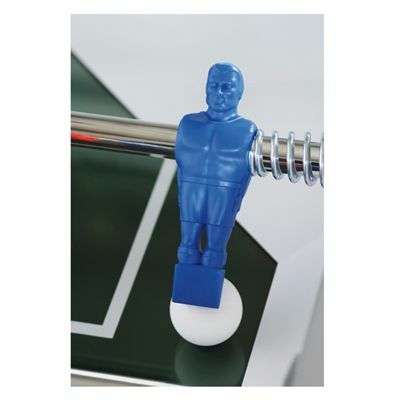 for submitting product information about FAS Smart Football Table. We aim to answer all questions within 2-3 days. If you provided your name and email address, we will email you as soon as the answer is published. 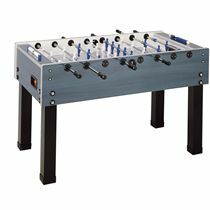 for submitting product review about FAS Smart Football Table.